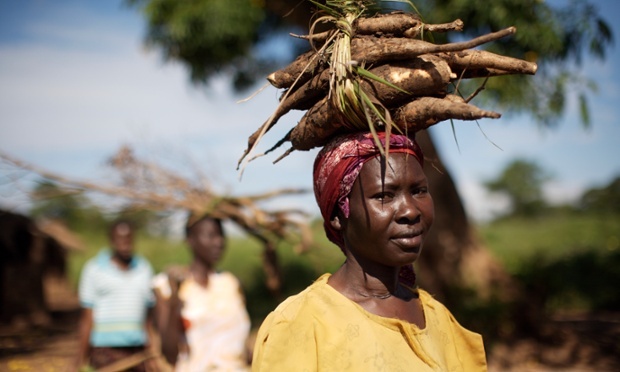 A recent article in The Guardian by Jean-Luc Jannink discusses NEXTGEN Cassava’s objectives and its progress as the project enters its third year. Jean-Luc outlines the importance of cassava production in the developing world, the challenges that cassava farmers face, and the scientific techniques NEXTGEN Cassava is employing to unlock cassava’s true potential in Africa. Jean-Luc Jannink is a Research Plant Geneticist with the United States Department of Agriculture, Agricultural Research Service and an Adjunct Associate Professor in the Department of Plant Breeding and Genetics at Cornell University. He leads NextGen Cassava’s Genomic Selection objective. This entry was posted in Press and tagged cassava, Jean-Luc Jannink, press, The Guardian on 2015-05-27 by dpt44.